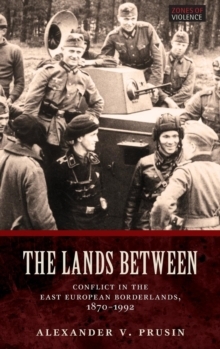 The Lands Between investigates the causes and dynamics of conflict in the 'borderlands' of Eastern Europe: the modern Baltic republics of Estonia, Latvia, and Lithuania, the western provinces of Byelorussia and Ukraine, and the republic of Moldova - areas that have changed hands in the course of the twentieth-century on several occasions. 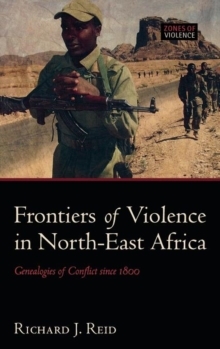 Alexander V. Prusin looks at these 'borderlands' as a whole, synthesizing narrower national histories into awider-ranging study that highlights the common factors feeding conflict across the region. 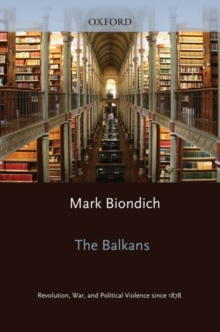 He also takes a long-term view, from the modernizing of the Russian and Austro-Hungarian empires in the late nineteenth century, through to the break-up of the Soviet Union, with a particular focus on the 'era of conflict' betweenthe outbreak of the First World War and the Soviet pacification of the area in the mid-1950s. 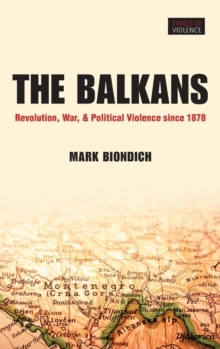 While admitting the importance of socio-economic cleavages and ethnic rivalries in creating conflict, Prusin argues that the borderlands' ethno-cultural diversity was in basic conflict with the policies of the authorities that dominated the region, whether these authorities were imperial or (after 1919) nation states. Since collective identities in the borderlands were based on ethno-communal rather than national association, connections between ethnic groups across state borders raisedsuspicions that their allegiances and identities were not necessarily compatible with those envisioned by the ruling authority. In wartime, when the state's economic and human resources became strained to the limit, suspicion of the groups deemed less loyal blurred the concept of internal and externalenemies and entailed pressure on allegedly "corrosive" ethnic elements. 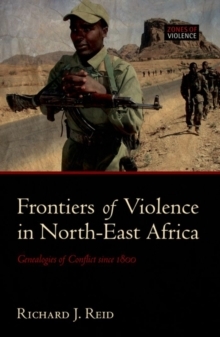 Efforts to impose some sort of supranational identity upon the patchwork of ethnically-mixed settlements thus became the standard practice through the first half of the twentieth-century, accelerating the conflict between the state and the population and making the potential for extreme violence so much greater. Simultaneously, as war progressed, violence was sustained and exacerbated by popular participation and acquired its own destructive logic, mutating into a vicious cycle of ethnicconflicts and civil wars.